Camp Communicate welcomed campers who “talk” with touchscreens from around Maine and beyond during the week of June 28 – July 2, 2016. Camp Communicate is an innovative retreat designed specifically for non-verbal children who use computerized devices to communicate. 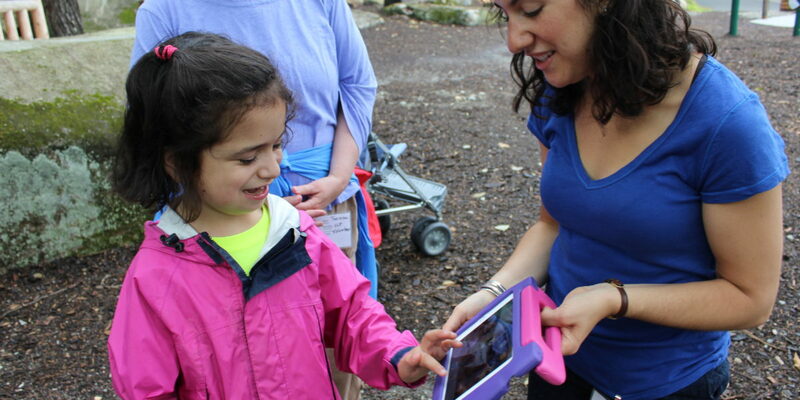 The children enjoy a unique opportunity to spend time with other augmentative communicators in an accessible summer camp environment. During their stay, they learn new skills, meet new friends and become more comfortable and confident in their communication abilities, all while enjoying traditional summer camp activities such as art and crafts, drama and swimming. Their family members also attend camp to enjoy a week of networking, enrichment activities, and respite time on the beautiful 285 acre campus on North Pond.